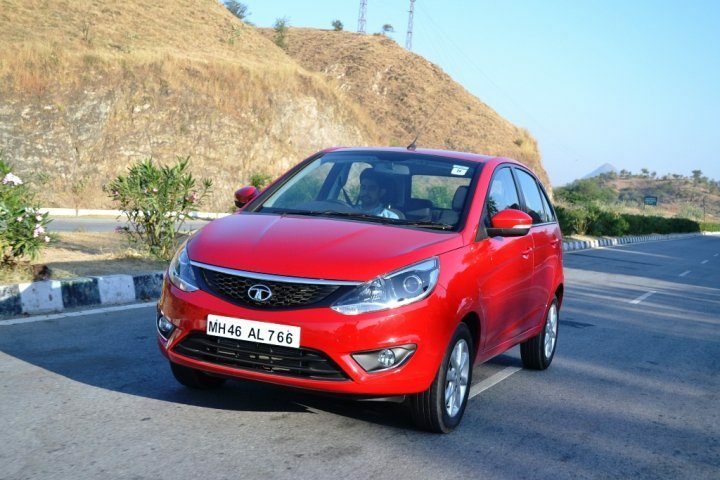 A Tata Zest sans the boot, the Bolt hatchback is Tata’s second launch as part of their revival plans which includes feature rich cars which are high on quality – something that Tata cars were never known for. The Bolt impressed us when we reviewed it with its general levels of quality, space and features. It might resemble the Indica Vista but don’t let that fool you because things have changed and its definitely a better car than that. The 1.2 litre turbo motor even gets three separate driving modes which is unheard of in this segment or even higher segments. A 1.3 litre Multijet diesel making 75PS power and 190Nm of torque will power the Tata Bolt with only a 5 speed manual transmission option on offer at the time of launch. An AMT is expected to be offered later on with the diesel which will a first for this segment. The Honda Jazz will be making a comeback this year and the Japanese automobile giant has done its homework this time it seems. 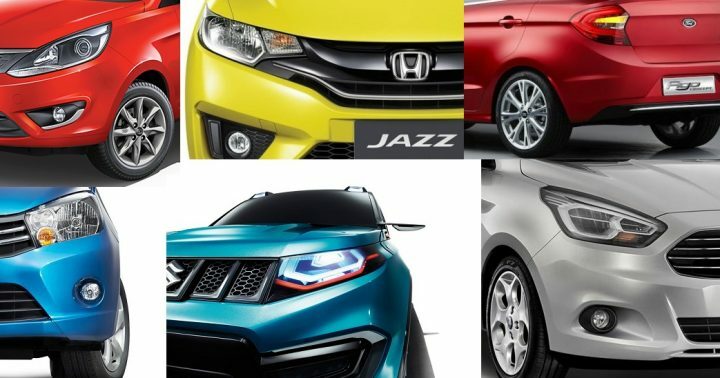 They’ve retained all the good qualities of the previous gen Jazz and gotten rid of the negatives which was mainly the high asking price. The Indian buyers have matured since but the price was still too high for a petrol powered hatchback. Now though the new Jazz will come armed with Honda’s 1.5 litre Earth Dreams diesel motor which has already tasted success in India with the Amaze and the City. The looks are typically Honda, some might like them for being futuristic and some might think its a bit overdone. The 1.5 litre i-DTEC diesel motor producing 99bhp and 200Nm of torque will power the new Jazz and will be mated to a 5 speed manual. Expect the launch to take place in the coming months. 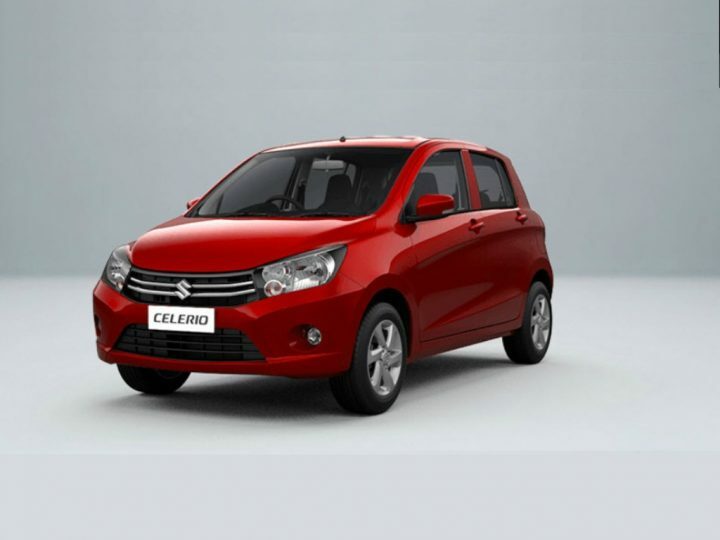 Maruti is looking to expand the Celerio range in India with the introduction of a diesel variant. The company has already ramped up production to cater to increased demand when the diesel finally hits the market. The interesting news is that it won’t be powered by the 1.3 litre Multijet diesel that does duty on the Swift and the Dzire. Instead it will get an all new 800cc diesel engine developed in-house by Maruti Suzuki. It might be a little low on power but it will be highly efficient, cheap to buy and cheap to run. Ford is all set to hop onto to the sub-4 meter sedan bandwagon with the all new Figo Aspire sedan. Based on the Ford Ka which is already on sale in Brazil, the sedan concept was also showcased at the New Delhi Auto Expo last year. The styling is smart and well proportioned and the boot doesn’t look awkwardly stuck on like some of the other sedans in the segment. Expect a feature rich cabin with the dashboard similar in design to the Fiesta. And being a Ford the car is likely to be fun to drive as well. Powering the car will be a 1.5 litre diesel borrowed from the Fiesta which produces 89bhp and 204 Nm torque. The launch of the Figo+ will be followed by its hatchback sibling, the Figo some time in the second half of this year. The new Figo will be more upmarket than the outgoing car and packed with features. 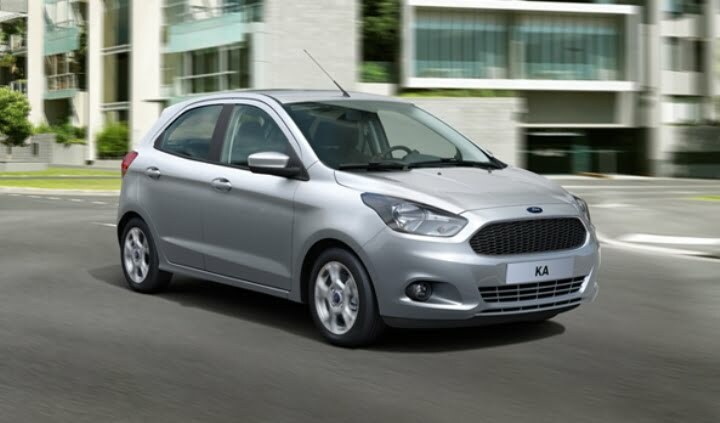 The current Figo was an instant hit when it was launched but it has lost its sheen since over time and Ford will not only be hoping to emulate the Figo’s initial success but also to maintain it through the years. Showcased last year at the Sao Paulo Motor Show last year the car is already on sale in Brazil under the Ford Ka moniker and has been spotted testing on Indian roads as well. It will be powered by the same 1.5 litre diesel engine as the Figo+ sedan which makes 89bhp and 204Nm torque. Maruti’s is working on a compact SUV for the Indian market and its gunning for Ford’s EcoSport. Codenamed the YBA, the compact SUV will be less than 4 meters in length to qualify as a small car according to the regulations. Styling will be based on the iV-4 concept showcased at the Auto Expo earlier. Maruti is very serious about taking the fight to the EcoSport so we expect them to pay extra attention to styling and features. Several heavily camouflaged test mules have been spotted on the roads and a production ready version is expected to be unveiled by the end of this year. Power will come from the same 1.3 litre Multijet diesel that does duty on all diesel Marutis in India. So which one of these Upcoming Diesel Cars In India 2015 With Price Under 8 Lakhs has made it to your wishlist? Let us know in the comments section below.